I came to the Nancy Drew books pretty late in life—I’d read a few as a kid, but only really started reading them with semi-regularity in my late-‘20s—and I am a huge fan. I love that she knows how to do everything. I love that we get the details of all of the huge meals she and Bess and George eat. I love that cases fall from the sky into Nancy’s lap. (In Password to Larkspur Lane, this happens LITERALLY). I love that the villains are all easily-identifiable by their rudeness (though it must be noted that I am far less enamored of how often they are described as ‘swarthy’ or ‘foreign’). I even sort of love that Carson Drew’s personality varies wildly from completely blasé about his daughter’s various life-threatening adventures to weirdly, uncomfortably skeevy towards every teenage girl in the vicinity. Speaking of shipping Bess and George—these are lesbian parodies about Nancy Drew and Cherry Ames! I swoon. There’s a third title that features Maney’s version of the Hardy Boys, too: Nancy Clue and the Hardly Boys in a Ghost in the Closet. I need to buy ALL THREE. This is a history of Nancy Drew and the Stratemeyer Syndicate—the packaging company behind not only Nancy Drew, but also The Hardy Boys and The Bobbsey Twins and Tom Swift—and the two women who had the biggest influences on her stories: Harriet Stratemeyer Adams and Mildred Wirt Benson. Spoiler alert: THERE WAS A LOT OF DRAMA BEHIND THE SCENES. needs to be both acknowledged and discussed. 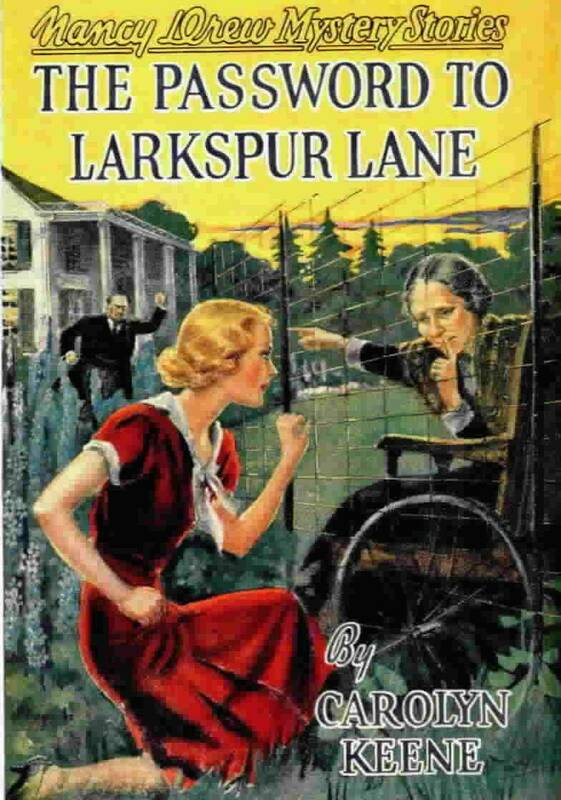 DID YOU KNOW THAT CAROLYN KEENE ALSO WROTE A MYSTERY SERIES SET IN A BOARDING SCHOOL? ME, NEITHER! And we’re not just talking about three or four books—there are a WHOLE TON of them. Are you a Nancy Drew fan? Did you grow up with her, or did you come to her as an adult? Are you more of a Bess, a George, or a Nancy? Do you have a favorite adventure, or another related reading recommendation? Who’s your pick for the best modern descendant of our favorite titian-haired sleuth? And finally, how do you feel about the news about the upcoming television show?